Jazz night at the Grappa Cafe, 112 Court St. at State St. where you can enjoy music, fine cuisine, and a cozy bar answers a very special calling on Sunday. 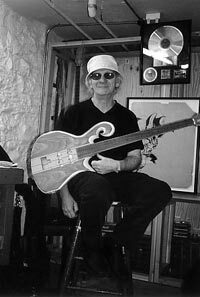 The music of Carl Thompson and Friends will be highlighted by a performance by Thompson on a hand crafted bass. The bass, design and crafted by Thompson, is a gift for Make-A-Wish candidate Alan Duncan. The music will swing from 7 p.m. to 10 p.m. Sunday. For reservations call (718) 237-4024.